A few weeks back I was contacted by Azaro; an Indian restaurant located in Hove, southern England. Azaro were looking for a food blogger who would be willing to eat at the restaurant for free in return for a honest review of their food. Now I can't deny that I was a little apprehensive about doing a write up of a restaurant I'd never visited. Reviewing a lipstick or an item of clothing is all pretty subjective to be honest, but reviewing someones food? It's hard to be subjective about a meal! Azaro offered us a table on a Sunday evening for our visit. When we arrived, the restaurant was pretty quiet which was actually a blessing to be honest! We were given a run down of the restaurant and the meal we were going to have by one of the head waiters once we'd gotten ourselves settled. There was a lot of information to take in and I don't think I could have remembered everything if the restaurant had been noisy and packed! By 7:30pm the restaurant was full with families and couples which made for a lovely atmosphere. When the menu's came out we were offered two meals to share between myself and my boyfriend; one of their Thali's (a kind of "Indian Tapas" dish) and one of their Dhum Biryanis (a masala curry covered with a flour dough). 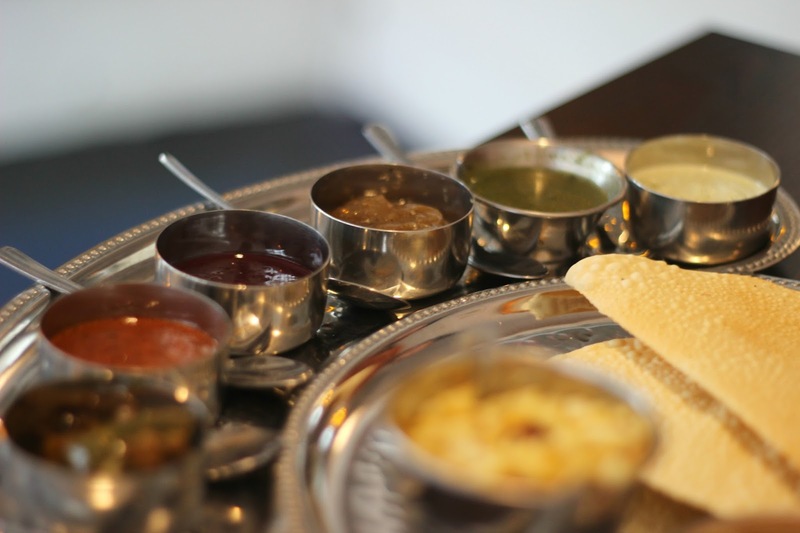 When the Thali arrived we were really impressed. 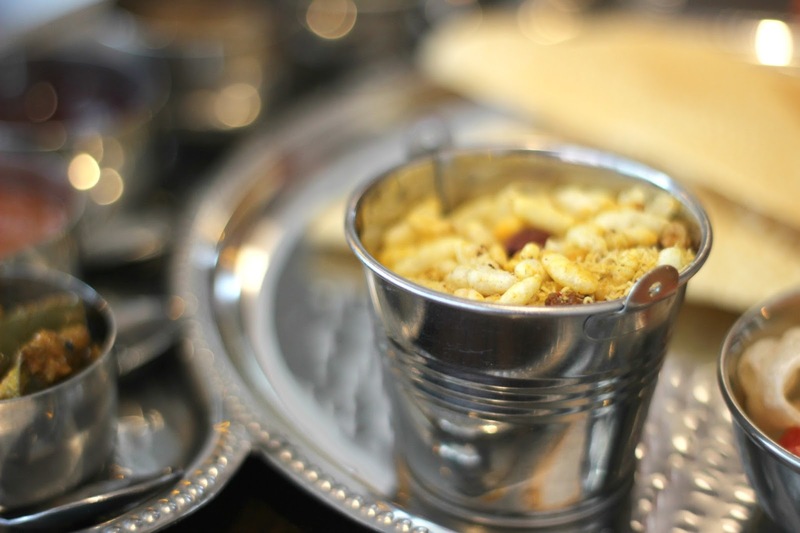 We got a full run down of every little aspect of the dish, including their award winning chutney which was by far the best chutney I'd ever tasted! 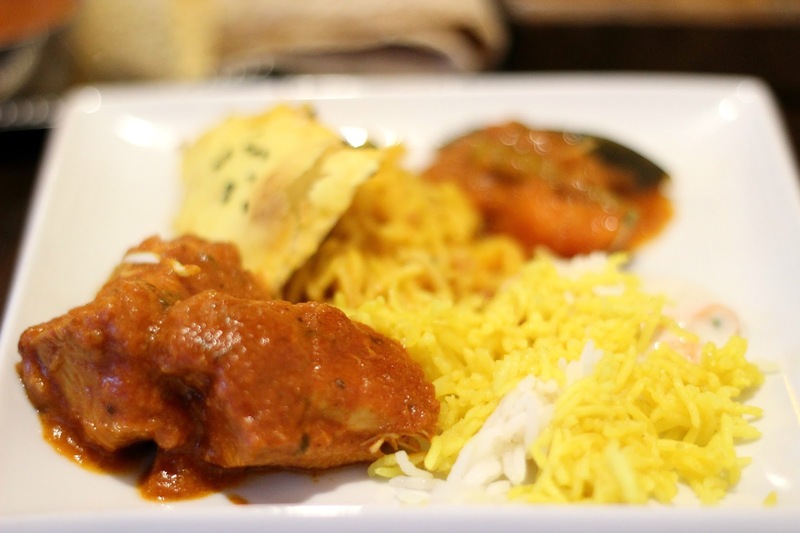 It was lovely to have a different style of dish than the standard curry, rice and accompaniment. 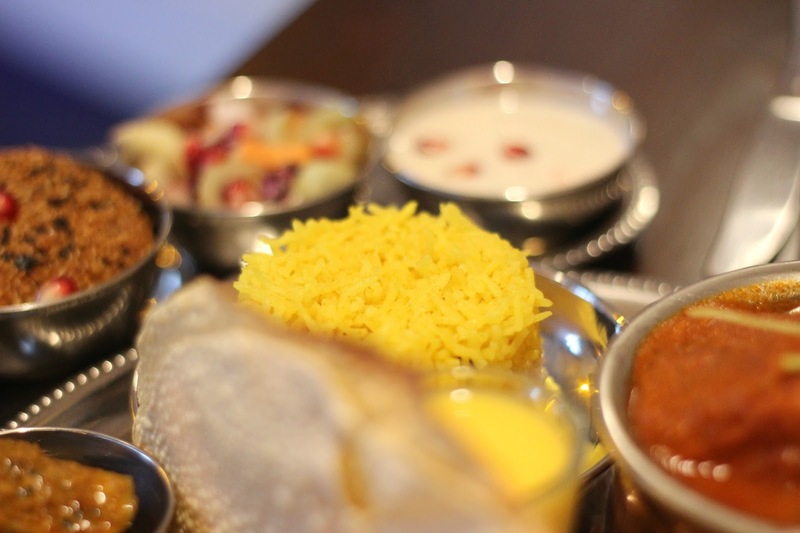 The Thali comprised of a small chicken masala curry with rice as well as some popadoms and a large selection of dips; all home made and created in house by Kirti Patel the head chef and co founder of Azaro. The next dish that came out was the Dhum Biryani. 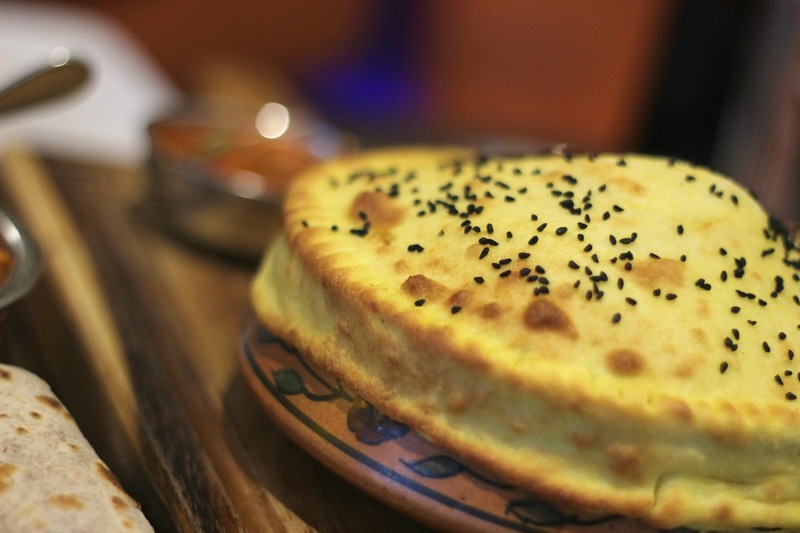 An impressive "pie" like dish which incorporated rice and a chicken masala curry encased in a gorgeous flour dough. The dough ensured that the chicken inside stayed super succulent and tasty, and kind of replaced the need for a naan bread. Both myself and my boyfriend were so disappointed we couldn't finish the whole thing! We'd definitely gorged too much on popadoms before hand! Both dishes were absolutely gorgeous and so full of flavour. I've never had an Indian meal quite like it, and it was so refreshing to have something different from the norm. 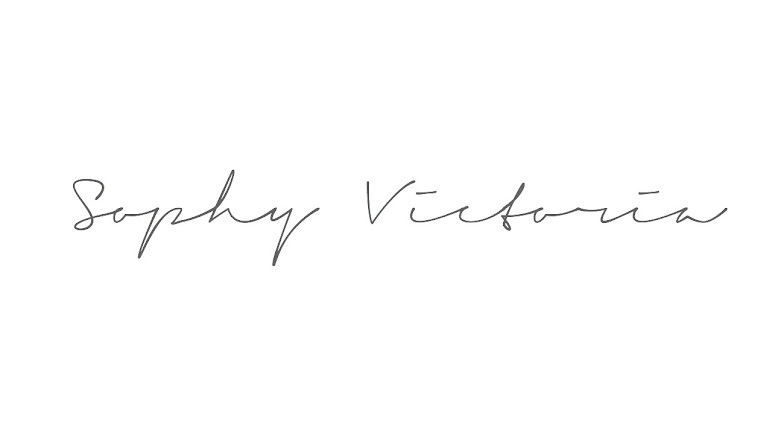 The owners, Kirti and Az are passionate and welcoming. They love to take the opportunity to give as much detail as they can on the origins of the dishes you are tasting and the locally sourced ingredients that everything is prepared with. 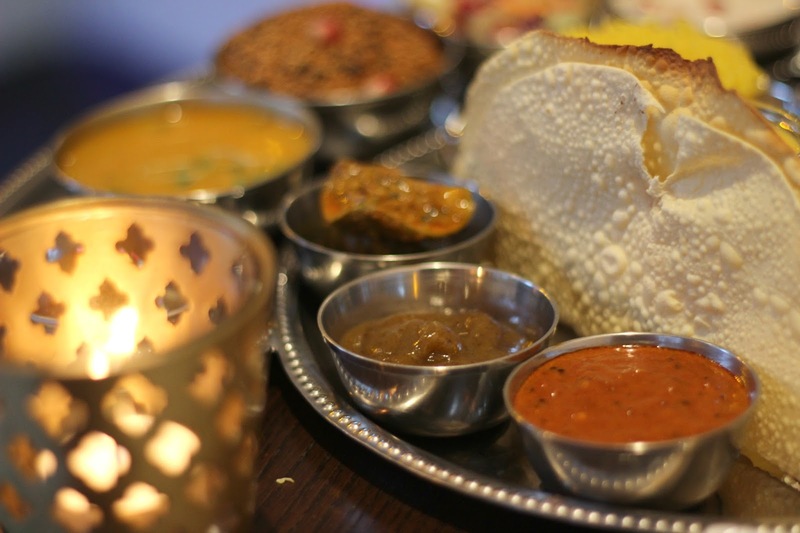 If you're ever in the Hove area then I would definitely recommend visiting Azaro for an authentic, delicious indian meal, especially if you're after something a little different!